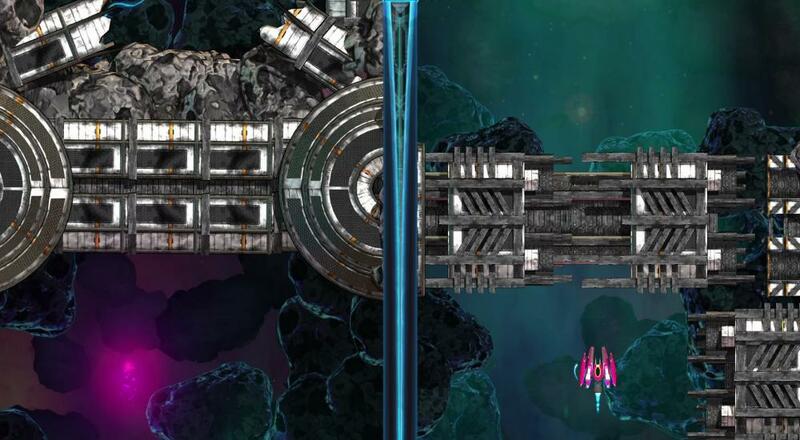 Here's something new in the world of shmups: dual-battlefields and puzzles. 2Awesome Studio's Dimension Drive, which has been in Steam Early Access since February, will finally see its PC debut this fall in addition to coming to the Nintendo Switch. Rather than just having to worry about the enemies and obstacles on one screen, Dimension Drive challenges players to keep track of two screens at once. When you come across some rather insurmountable odds on one screen, just teleport to the other one to avoid them, though be mindful that there's probably some crazy stuff going on there, too. You also can't teleport back-and-forth whenever you like; you've got a limited supply of energy so you'll have to choose carefully when you teleport. All of this can by enjoyed locally with a buddy, too, with players sharing lives and the teleport energy pool. Dimension Drive will be out sometime this fall for the Nintendo Switch and PC.